Tiwari, Shweta (2013) paper accepted for 42nd IFTDO World Conference & Exhibition Capability Building for Cutting Edge Organization in New Business Order April 2013 ”Managing Performance Excellence”. 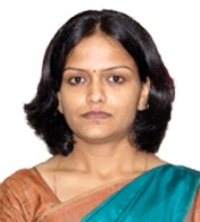 Tiwari, Shweta (2013) paper accepted for 6th International Conference on Services Management Managing Services across Continents June, 2013 Cyprus “Talent management as a contributor to Employability in the hospitality Industry: an Indian Perspective”. Tiwari Shweta (2012), “HR – Going beyond the line”, Global Journal of Finance and Management”, Volume no. 4(2012), Issue no. 4. (November). Tiwari Shweta (2012), "Performance Appraisal: Aligning personal aspirations to organizational goals", International Journal of Research in Commerce, IT & Management, Volume no. 2 (2012), Issue no. 1 (January). Tiwari, Shweta., Verma, B.L. (2010), “Employee Retention” Paper published in Aishwarya Research Communication, Vol No.1 Pg. No. 229-235. Tiwari, Shweta., Verma, B.L. (2009), “Dairy sector in India an overview – Role in Society” Paper published in Journal of Well being, Vol No.3Pg no. 54-57. Tiwari, Shweta. (2009), “Role of Human Resource planning in dairy development” Paper published in Gujrat journal of psychology, Vol No. 3 Pg No. 80-83. Tiwari, Shweta (2012) Paper presented and published on “Skills, competencies and employability through business education” in 7th National conference organized by department of management, 27-28 November, AIMA Delhi. Tiwari, Shweta (2012) Paper presented and published on “HR- Going beyond the Line” in International Conference on “Leadership in Business and Management for Sustainable Global Economy” (LBMSGE - 2012) on 3rd and 4th November by IIT Delhi, New Delhi. Tiwari, Shweta (2012) Paper presented and published on “Training as a tool for employee retention” in National Conference organized by Department Of Management, 28-30 June, IIT Delhi. Tiwari, Shweta., Verma, B.L. (2010) Paper presented and published on “Ethics and Values in HR – A stydy of UDUS” in National Seminar organized by Department Of MHRM, 26-27 Feb., MLSU University Udaipur (Raj). Tiwari, Shweta., Verma, B.L. (2008) Paper presented and published on “Marketing of HR”in National Seminar organized by Department Of Business Administration,23-24 Sep., MLSU University Udaipur (Raj). Tiwari, Shweta., Verma, B.L. (2007) Paper presented and published on “Talent Management and work life balance” in National Seminar organized by Department Of Business Administration,23-24 Nov., MLSU University Udaipur (Raj). Manuscript Reviewer for the International Journal of Productivity and Performance Management. (Emerald publication). Member of Indian Society for Training and Development. “Managing global competition”: The Macmillan India Ltd. (2008), Eds. Chundawat, Saxena and Bhadu.